Product #330 | SKU 3-002-19MM | 0.0 (no ratings yet) Thanks for your rating! 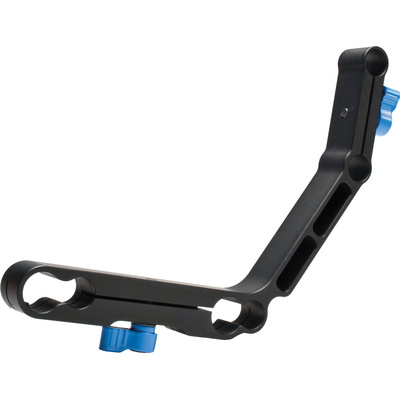 The RedRockMicro 19/15mm 90 Degree Support Arm is an adjustable support arm used for attaching accessories, such as the Matte Box, wireless receiver, mic preamp, video transmitter to your camera rig via a standard 19 mm or 15mm rod configuration. It can also be used with 15 mm offset rod systems. The arm holds your equipment offset at 90 Degrees to allow clearance fro you lens and camera.